Healthcare for men - Information and products related to Mens Healthcare. The world's best healthcare products are being tested by me first before their release on to the New Zealand market. First one is coming soon - keep an eye open for its announcement. Just the thing for the morning after or for sports injuries. 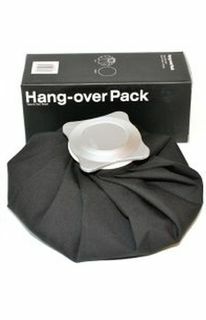 Hangover ice pack 9" black with white cross. For information and products related to mens healthcare click here to go to the relevant page on this website.